Over 400,000 Satisfied Customers That's What We're All About! OUR MISSION: Is to Proudly & Honestly Provide “You the Customer” with the Highest Quality Of Work & Sevice While Promoting Chimney Safety Through Our Dedication To The Professional Chimney Industry. It has been the area’s premier provider of chimney sweeping, inspection, and fireplace repair services since 1980. We have helped thousands of people enjoy Safe ‘n Warm evenings by the fire with peace of mind. We guarantee our work, provide honest, up-front prices, we stand behind everything we do 100%! 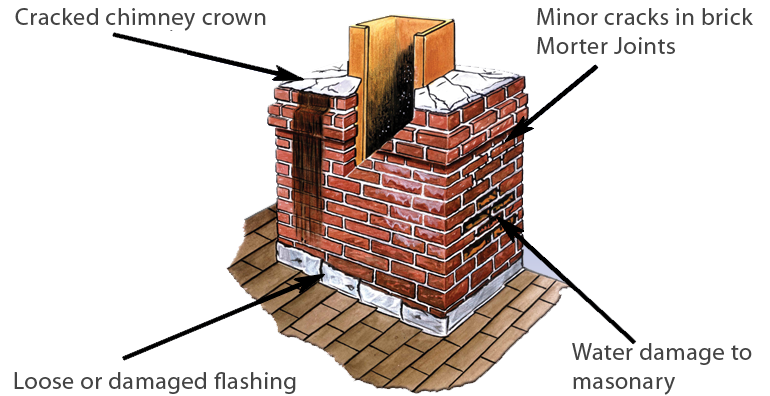 Chimney smoking, smelling? Not safe? Not sure? WE ARE HERE TO HELP YOU! We will check for any visible problem that will prevent peak performance or pose a safety hazard. We will then recommend what is needed for your system to burn cleanly and safely. excessive Creosote buildup or animal nesting. » Defective or inoperative dampers. » Lack of spark protection. » Or any other potential hazards. Crack Repairs: We use heat refractory cement. Replace Damper: If your damper is stuck (from rain damage) the most cost effective way is to replace with a top sealing damper. 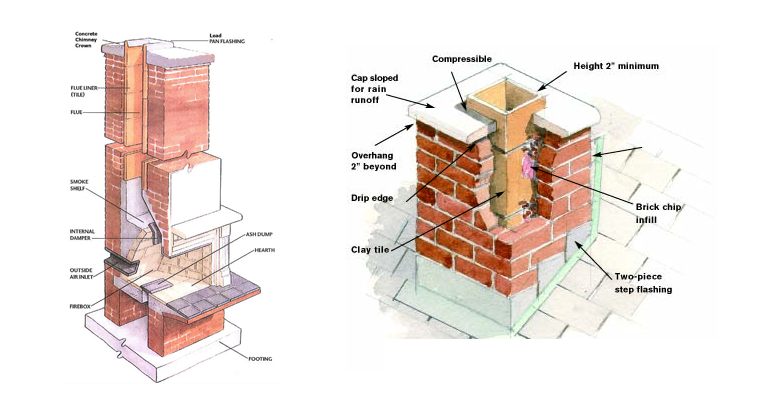 Relines: If the chimney has cracks and damage is too extensive, we will re-line it an all temperature UL Listed lining system.